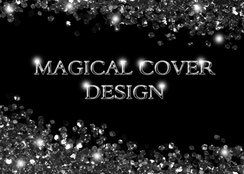 Welcome to magicalcover - premadecovers Webseite! Here you will find all premades created by me. Covers are unique. Once a cover is sold, that's it. It will never be sold again. Of course I take orders too! Premade e-book covers are available from €29. A cover for the print version is possible for every premade. Surcharge between €40 and €59. Order cover (Ebook) cost between €89 and €119, depending on the time required and the photos I need to use. The print version cost between €40 and €60. I design ebook covers wich are 1600x2400 Pixels high and 300dpi. I can adjust the size is necessary, depending on where you wish to sell your book. All my ebook premade covers are produced in JPEG. Full Print cover are provided in PDF. Should you wish to change an aspect of your premade, please contact me. There will generally be an addiotional charge for this. If you have opted for a cover, write me by e-mail. Please enter the title, subtitle and author name. I often use motifs from Depositphotos.com. I buy the pictures with the standard license and I ask you to make sure that you comply with the regulations (here you will find a simple overview: http://de.depositphotos.com/license.html). If you need an extended license or you are unsure, you can of course ask me for help. 1. The designs may not be altered or passed on to third parties without the express consent of the graphic designer, either in the original or in the reproduction. Any imitation, including parts, is inadmissible. A violation of this clause 2.3 sentences 1 and 2 entitles the graphic designer to demand a contractual penalty of 100 percent of the agreed remuneration in addition to the remuneration payable anyway. 2. The graphic designer grants the customer the rights of use required for the respective purpose. Unless otherwise agreed, only the simple right of use is granted. A transfer of the rights of use to third parties requires the written agreement. 4. 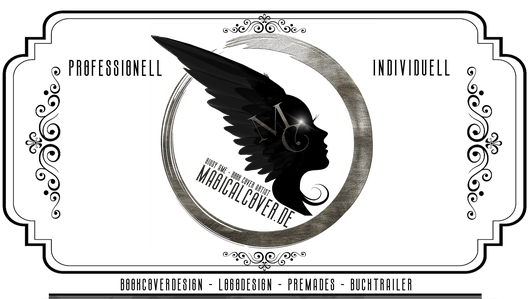 The graphic designer is to be mentioned on the copies as authors (magicalcoverdesign.de). A violation of this provision entitles the graphic designer to demand a contractual penalty of 100 percent of the agreed remuneration in addition to the remuneration payable anyway. 5. Proposals or cooperation of the client or his employees have no influence on the amount of the remuneration. They do not establish a Miturheberrecht. 6. With the release of drafts or purely drawings by the customer, the latter assumes responsibility for the technical and functional accuracy of the product, text and image. 7. In the case of photographs taken by the client for the designer, the graphic designer assumes that photographed persons have transferred their rights to the image to the client. The client undertakes to check the photographs made available for their legally harmless use. The client is liable for possible recourse claims. We deliver only in the shipping. It is unfortunately not possible to pick up the goods. We do not ship to packing stations. In the ordering process you will be redirected to the website of the online provider PayPal. In order to be able to pay the invoice amount via PayPal, you must be registered there or register first, legitimize with your Access data and confirm the payment order to us. After placing the order in the shop, we request PayPal to initiate the payment transaction. The payment transaction is automatically carried out by PayPal immediately thereafter. Further information is available on the order process. Please contact me for a bank transfer. The cover is taken from the shop and the payment is made by bank transfer. The data will be sent via email. The goods remain our property until full payment has been made. For entrepreneurs, we reserve the right to retain ownership of the goods until all claims arising from a current business relationship are fully covered. You may continue to sell the reserved goods in the ordinary course of business; All receivables arising from this resale occur – irrespective of a connection or mixing of the reserved goods with a new item – in the amount of the invoice amount to us in advance, and we accept this assignment. You will remain authorized to collect the receivables, but we may also collect claims ourselves if they do not meet your payment obligations. The European Commission is providing a platform for online dispute resolution (OS), which you can find here http://ec.europa.eu/consumers/odr/. We are not obligated or willing to participate in a dispute settlement procedure before a consumer conciliation.